This is the first CCCA member meetup in 2018. We are planning to provide more socialization opportunities to our members in 2018, helping our members to get to know each other and create business potentials. In addition, as we are in the tax season, CCCA invited tax expert to present you with tax related information, helping you to better prepared for the tax season. Kevin has more than 25 years of accounting, auditing and tax experiences. Kevin moved to Canada in 2002 after working in China for ten years as a CPA. Then he obtained an accounting bachelor degree from Concordia University in Montreal, and moved to Calgary in 2006 and become a Chartered Accountant in 2010. Kevin completed CPA Canada’s 3 years In-Depth Tax program in 2017. 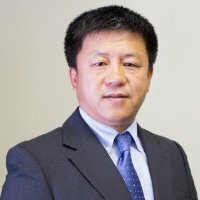 Kevin is also a Certified Public Accountant (“CPA”) in China and is proficient with both Canadian and Chinese GAAP and International Financial Reporting Standards (“IFRS”). Please email: treasurer@ccca88.ca to inform answer to the secret question and provide detail information (name and email) for ticket issuing.